Visiting this beautiful country steeped in history and legend, blessed with a famed natural beauty and enjoying a charming culture is a unique experience best enjoyed from the deck of your own charter yacht. Whilst sailing in Greece you can experience the crystal clear waters and mythical shores; feast your eyes on dramatic scenery of turquoise seas set against a pine clad mountain backdrop. Explore ashore ancient temples, Byzantine churches and picture postcard white and blue villages. Enjoy balmy evenings mingling with locals and visitors along elegant and bustling promenades. Observe a spectacular sunset from the quayside of a sleepy, timeless fishing harbour. Daily sunshine is virtually guaranteed. The Ionian is similar to the Adriatic, enjoying predominately northerly winds of force 2-3 during the summer months. In the Sporades winds are mostly north-easterly, while the winds in the southern Aegean prevail from the north-west. During July and August the seasonal Meltemi raises the strength from 2-3 to 4-7, particularly in more open sea areas. The winds often curve and increase in speed between larger islands and the mainland, making for some interesting sailing. Bareboat Charter in Greece offers the widest choice of cruising destinations for independent sailing in any one country. From Poros explore the Saronic Gulf and Eastern Peloponnese coast, from Corfu the northern Ionian or from Lefkas the ever-so-popular southern Ionian islands. From Rhodes harbour sail the Dodecanese island chain or alternatively, charter a yacht from Skiathos and explore the Sporades with their spectacular white sandy beaches and hidden coves. 3 Cabin yacht: €120, 4 Cabin yachts €160, 5 Cabin yachts €200. 2 Cabin yacht: £70, 3 Cabin yachts £75, 4 Cabin yachts £85, 5 Cabin & Catamarans £100. 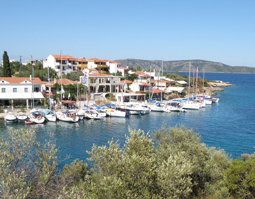 Our partners in Greece operate the Poros Yachting Academy, an RYA recognised training centre, located on Poros island with a range of courses suitable for all abilities, from complete beginners through to Coastal skipper and Yachtmaster. Own Yacht tuition: Prices in £ per yacht+yacht charter cost (maximum 3 students; additional students 16 years and over - extra £55 per person). Live aboard school yacht: Prices are per person, based on 2 sharing a cabin. All prices are exclusive of flights and transfers. 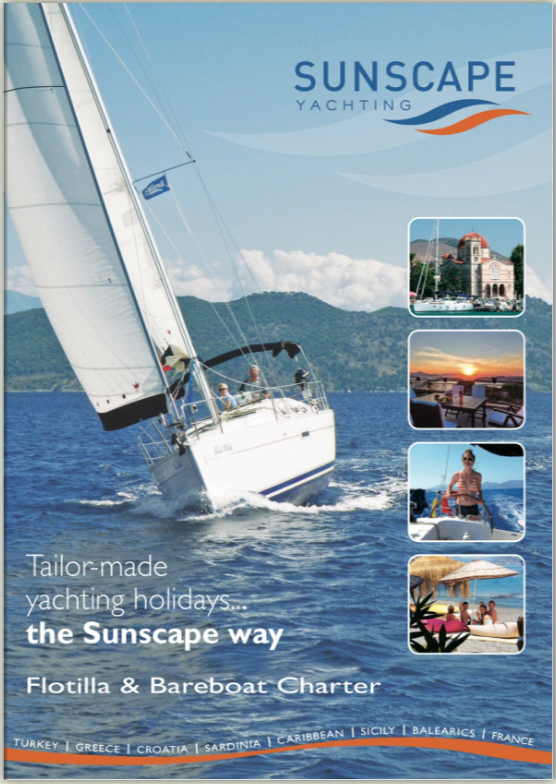 RYA G15 Log Book available from Sunscape at £10 including P&P. Explore the stunning islands of the Cyclades in the Aegean or the Ionian islands aboard our fully crewed 51 foot sailing yacht. Our partners island-hopping sailing adventure is an ideal way to discover the islands of the Aegean in comfort and safety with our professional crew aboard to look after you. Whether you are an experienced sailor or just looking for a relaxing introduction to sailing, this is the perfect blend of sun, sea and scenery. Each day brings another new island to explore. Set sail from Mykonos on the Cyclades Cabin Charter and explore the wonderful islands of Naxos, Ios before sailing into Santorini at the heart of the Cyclades islands on the Mykonos Route. 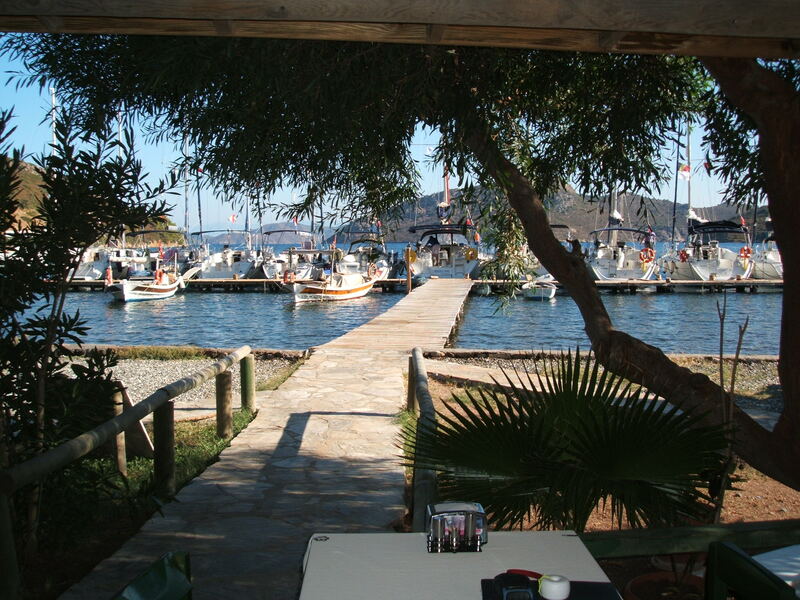 Then venture on to Paros and other islands before retuning to Mykonos. Or choose the Ionian Cabin Charter and set sail from either Kefalonia or Corfu and explore the beautiful islands of Paxos, Lefkas, Ithaca and Kefalonia amongst others. Booked by the cabin as Cabin Charter means you enjoy the big boat experience at a fraction of the cost of a full skippered charter. You can get involved in the sailing or relax and enjoy the scenery, the choice is yours. Sunscape have a great selection of Private Villas with pools, Noutique Hotels, Beach Clubs with watersports and Apartments with self-catering facilities to choose from.